It’s a busy, busy time in the garden but I cannot let April go by without honoring it with poetry. It is National Poetry Month after all. floating on rivers of grass. Note: Open Day is May 18. My garden as well as Rocky Hills will be ready and waiting for you! Last Sunday was a gift to this impatient gardener. Bright and sunny, temperatures in the mid-60s and a garden just waiting for a do-over. No bugs trying to feed on me, no place else to be. This was heaven. With the scillas, hellebores, early crocuses and Abeliophyllum distichum ( white forsythia) in bloom, it felt as though I had a cheering squad. The air was gently scented by the Abeliophyllum – a bonus! So many chores got done. The front lawn was scratched up, reseeded and layered over with compost. Lets hope no destructive rains occur till the grass comes up. A daily sprinkle for about an hour would be mightily appreciated. A trip ( the first of the season! ) to my favorite nursery resulted in a host of plant purchases. A few perennials like Jacob’s Ladder, lungwort, unusual looking ajuga, dianthus and sweet woodruff, annuals such as pansies, nemesias and lobelias, potager must-haves – beets, Swiss chard, arugula, kale, lettuce. I helped myself to herbs as well – lavender, hyssop, lovage, bronze fennel, sage, thyme, tarragon, parsley, cilantro and one that I plan to use extensively through the spring and summer – Mojito mint. Yes, that is exactly what it is called. The spring window-boxes were put up – daffodils, tete-a-tete and pansies. Urns and planters in various locations in the garden now sport similar plants to tie in the whole look. The new ajuga accompany two young Japanese maples (also picked up at the nursery) in a large, copper container by the front door. The plan is for it to look elegantly understated through the seasons. I also stuck in some muscari to give it an early pop of color. Nothing flashy though – the window-boxes above take care of that. The urn nearby, also on the front porch, will echo both with its mix of the pansies and muscari. The vegetables are esconsed in their bed looking fetching in diagonal rows in hues of deep plum, bronze and greens. The herbs are in terracotta pots that will go on the ‘herb wall’ but for now, until the weather truly warms up, they sit in the greenhouse biding their time. My cherished Anduze pots with boxwood balls were brought out of the greenhouse and placed in their appropriate sites. Should a frost be imminent, they will be easy enough to protect with fleece and burlap. Other plants in the greenhouse will be brought out in a couple of weeks. On the vertical garden, some ferns we had overwintered in the vegetable plot under a cover of burlap were put back on the wall. Fingers crossed this experiment will prove successful. If so, it’ll be a good development in our quest to preserve the ferns through the winter. By days end, I felt so exhilarated. Good progress under very work-friendly circumstances renders a most delicious sense of satisfaction. At the same time, my muscles were tired and the back was sore. A hot shower followed by a tall mojito ( with eponymous mint ) in the embrace of a comfortable, plush chair was well deserved. I sincerely hope that said mint can keep up with all the drink orders to come. 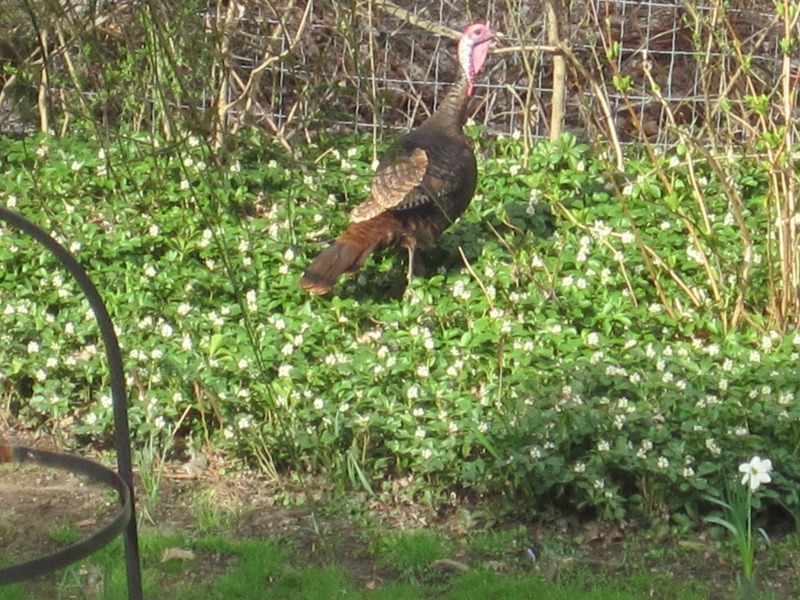 Note: My Open Garden Day is May 18. The reception to the New Horizons exhibit is this Sunday, April 14. Where Do Butterflies Go When It Rains? Who Goes Around And Tucks In The Trains? That refrain from a song by the Carpenters played in my head all through the time Hurricane Sandy was doing her worst. Apart from the understandable concern for the safety of family, friends and property, I could not help thinking, okay obsessing, about how the birds, bees and butterflies coped in the storm. In the big picture, those little creature matter mightily. Consider how much has has been impacted by the drastic decrease in the number of honey bees due to colony collapse disorder. Enough said. Of course, unlike us humans who need the whirring of assorted machines to predict a change in weather, birds are finely tuned to barometric pressure shifts. They will then flee, seek shelter or actually move into the eye of the storm where all is quiet. This last option can carry them long distances and depending on the duration of the storm, they will remain without food or water which if prolonged will ultimately do them in. Most birds find old nests, tree cavities, dense shrubbery where they can ride out the storm. No doubt, severe hurricanes and storms cause a rise in avian mortality be it due to starvation, exhaustion, habitat destruction, exposure to pounding rain or wind. 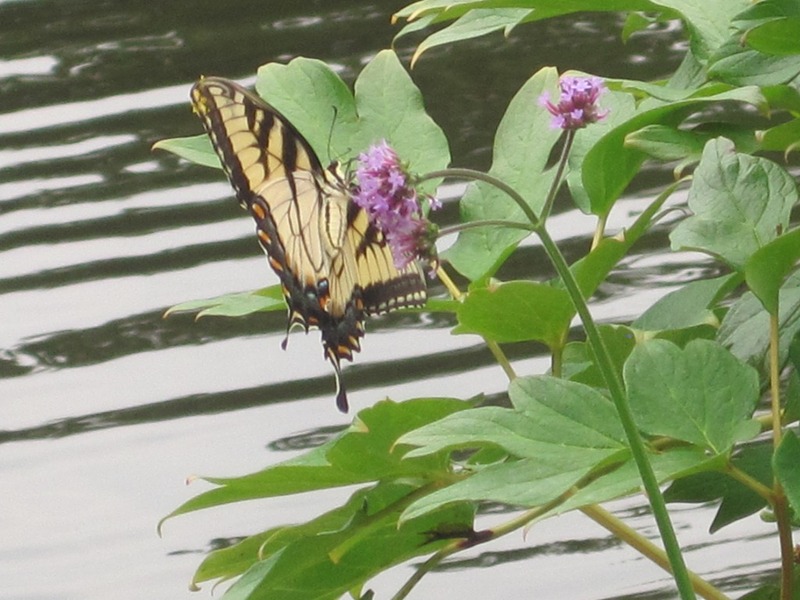 Butterflies are also able to read a drop in barometric pressure and know to seek safe locations. Under leaves, in piles of leaves, thickets and such. Bees on the other hand, have it down to a science. Contrary to the supposition that they swarm before a storm, these smart creatures do not leave the hive if temperatures fall below 57 degrees Fahrenheit or if the wind speed is more than 12 mph. And of course, they have each other to huddle and keep cozy inside the hive. Common to all of the creatures mentioned above is what is called ‘communal roosting’. Which just means getting close together sharing warmth and having safety in numbers. Sound familiar? In times of adversity, the tradition of coming together to do what’s good for the whole seems to prevail across the species. For us humans, it means sharing and giving. For the most part, we are at our best in times of crises. Our pets get included in all the camaraderie.. Their safety is given high priority as well it should. 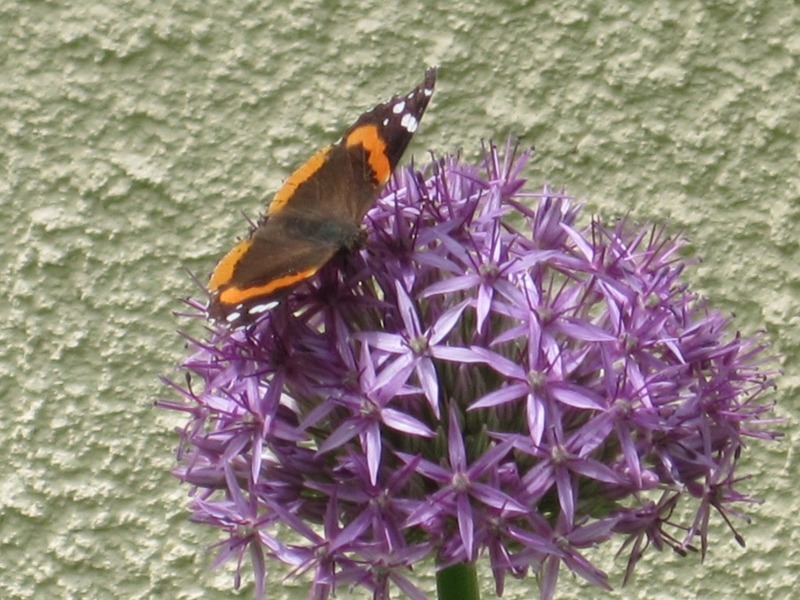 But, what are we doing about those birds, bees and butterflies? Given how important they are to the health of our gardens, farms, forests, park lands and, consequently our own health, surely some attention on our part is required. True, its not as though one can round up all these vital beings and give them a form of public shelter but perhaps we can provide conditions that lend some level of security in their natural habitats. Obviously, the unnecessary clearing of woods and forests is to be avoided. But it is really what we can do to support the creatures closer to home and farm that will be of direct use. Setting up bird, bat, butterfly houses, ensuring a source of water, growing plants, shrubs and trees that offer both shelter and food will go a long way. At the same time, doing away with toxic fertilizers, insecticides and weed killers should be mandatory. Safe and effective organic alternatives exist so please lets all adopt them. However much one is a neat freak, find it within yourself to keep one corner, a far spot not so easy to view if you prefer, a little wild. By that I don’t mean it should be unsightly. Instead, group together some assorted shrubs to form a thicket. Toss in a thorny bush or two into the mix of deciduous and evergreen plants. Select shrubs that are the natural food sources for the refugees. Situate these shrubs at some distance to allow for some privacy and sense of security. And following a storm, replenish bird feeders and water baths. None of this is so hard to do right? There will of course be some casualties from each storm but staying tuned to nature and doing whatever is within our abilities would be doing right by ourselves and this earth to which we all belong. When Sandy was blowing at alarming, ear piercing speeds, it must have been absolutely terrifying for those poor souls. I’d like to think they sensed and were reassured by the positive energy I was sending their way. Please don’t attempt to disillusion me. 1 Clean up debris left by the storm. Rake leaves, pick up branches and twigs, cut away broken or dead tree and shrub limbs. 2. Check stability of supports, fences, gates, paths, steps and such. Fix what needs fixing. 3. 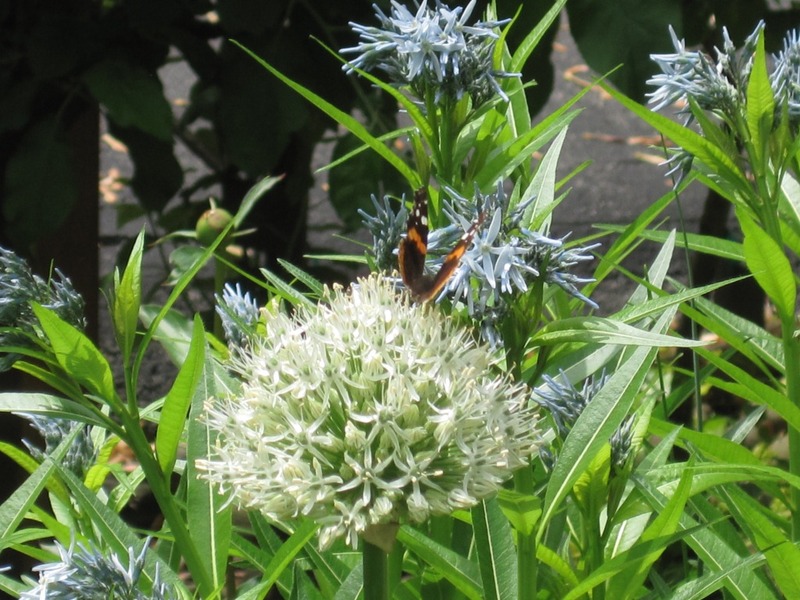 Finish planting bulbs and perennials. The ground is still pliable. But hurry! 4. Cut back perennials, remove annuals and generally tidy up. 5. Put away all outdoor furniture and smaller pots. 6. Protect outdoor statuary and large pots. 7. Get amaryllis started so they will be in bloom at the holidays. 9. Keep sand or kitty litter and snow shovels handy. 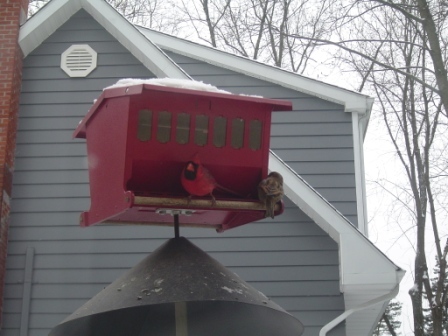 Birds at the feeder in winter. 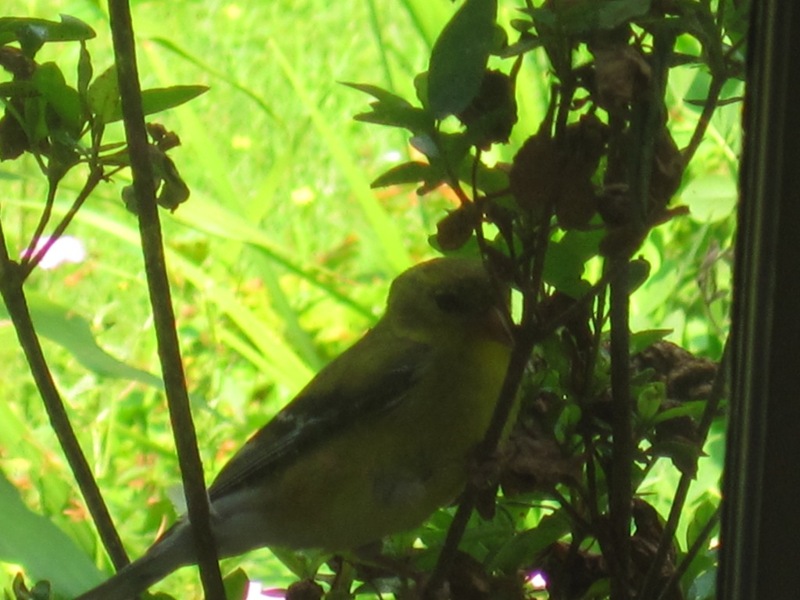 Gold finch in the butterfly bush.